We've hauled around a GE Profile microwave since two houses ago. I bought it for $25 at the Habitat Homestore, but never had the right spot to install it. Readers here know I can't stand countertop clutter, so I'm thrilled that this built-in microwave will simplify the new kitchen. 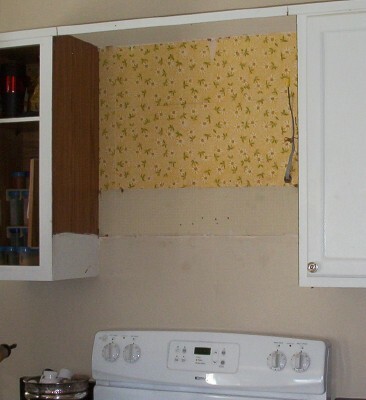 We had to remove the small cabinet above the stove first. Gotta love that '60s daisy wallpaper underneath! Of course, the secondhand microwave no longer had its mounting screws. We found heavy duty steel brackets to fasten it against the wall. My husband cut a shelf to bridge between cabinets. After I paint the exposed areas, I'll use it for cookbooks or a big tray. The only problem is my standard cooking times have been burning things to a crisp. I'm just not used to nuking with that much power! I love the extra new space above the micorwave. Mine is mounted so high up that I have to stand on a stool to reach it. Great idea! You can't beat an over-the-range microwave. Love mine, too. Laura, free is always my favorite deal. Congrats! I have some questions about mounting microwaves. I use mine a lot to heat leftovers. Isen't it too high to stir things? It is mounted where the stove hood and fan would be so how do you exhaust the stoves heat/smells? Doesn't the bottom of the micro get splatters when you use the stove top? I am afraid that a wall mounted micro would be too high to lift out or in hot or heavy dishes. Is it? How high is it mounted? I am not real tall. Are you?I can and canning pots are tall so I have to figure that in too. Also you have to lean in to use the micro and if you are also using the stove how does that work? Sorry for so many questions!! I really want my microwave off the countertoo!! 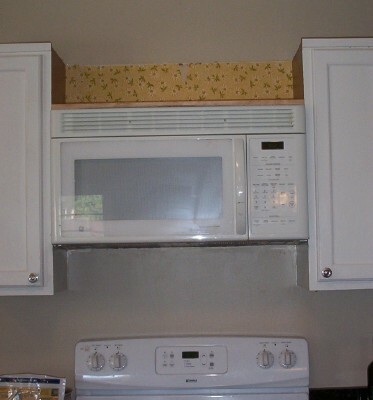 Wall mounted microwaves are made to go over the range where the stove hood would normally be. These microwaves have built in fan exhausts that work just like a stove hood. You cannot "wall mount" a standard countertop microwave in this manner, because they are not made for that task. Also, you just have to lift the heated food down before stirring and then return it to the microwave. 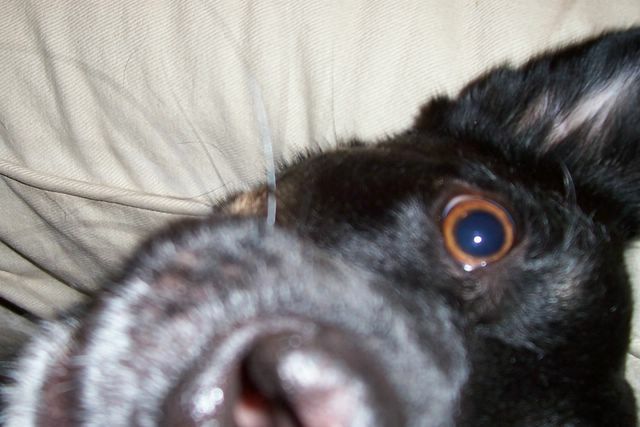 I have a houseguest so I can't be online so much. I always appreciate the advice my friends share here at Merchant Ships. Anna, I also think that the built-in microwaves are deeper, so that leaning in over the stove is not so much a problem. I am 5'4" and don't have any trouble reaching mine. We did mount it a bit higher than the existing stove hood (which is why we removed a cabinet) because I didn't like the look of the microwave so low over the stovetop cooking area. I like your configuration for your microwave and find myself in the same situation. You have just given me an idea on how I can install mine. My question is, how did your husband support the shelf so it would support the weight of the microwave? Is the microwave bolted to the shelf in any way?